This car is stunning!! Absolutely love it. The 5th or 6th one I’ve seen but still gorgeous. Everyone here probably has their list of holy grail cars they want to see before they die, sort of like a bucket list. 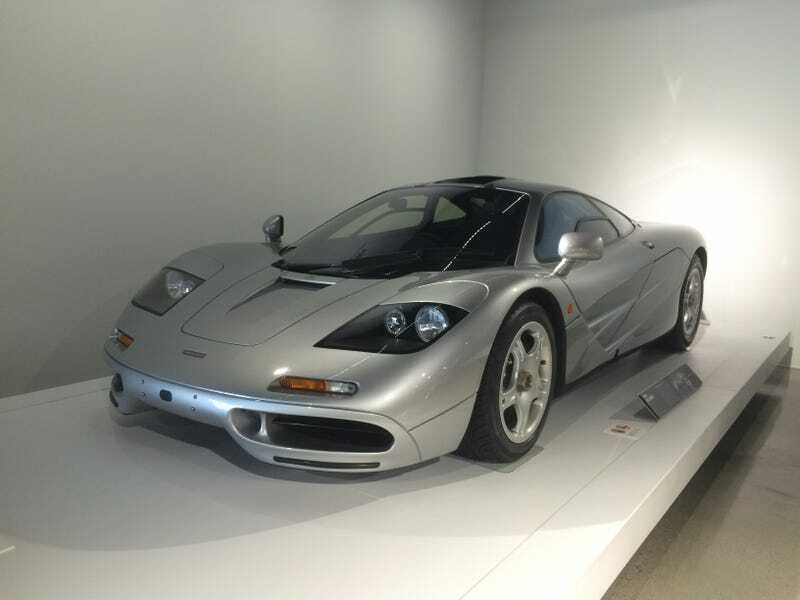 On top of my list is the Mclaren F1. A car I never thought I would see unless I went to Monterey Car Week or an automotive museum like Petersen. Well today I did the latter by attending the Japanese Cruise-in and then paying to enter the museum. Going to the Petersen has been on my list for a long time now, especially since I live in LA, so I took advantage of the chance to see some really cool Japanese cars and amazingly beautiful vehicles that put a smile on my face. The top 3 car I wish to see before I die are the Mclaren F1, Toyota 2000GT and Lamborghini Miura. These three cars are to me the pinnacle of automotive beauty and performance. I could literally stare at these cars for hours maybe even days and still be amazed. So even though seeing cars at a museum is different than turning your head when you see one on the road, just the experience of see it in real life not just in pictures is mind-blowing. Today I saw two of the three cars on my list and I can’t stop smiling when I think about that F1. But that’s it, being a car enthusiast to me is not just about driving the coolest car made today but to appreciate the cars that got us here. I live for cars, they are one of the few things on earth that make me happy unconditionally.